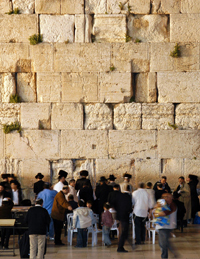 The site got 13,270 visits, of which 8,667 were unique visitors compared to last year’s Tisha b’Av with 11,883 visits from 7,267 unique visitors. The webcast, with Rabbi Jacob J Schacter, had 10,215 views from 7,826 unique visitors compared to last year’s webcast having 8,999 views from 6,909 unique visitors. Additionally, many shuls held presentations of the webcast for their congregants. Tisha B’av To-Go Packets were distributed with the following impressive numbers: 17,000 copies printed in North America, 15,000 in South Africa, 1,500 in Israel and 5,600 viewed online. In conjunction with the OU we recorded a DVD for Tisha b’Av. The DVD included moving words from Rabbi Willig, Dr. Pelcovitz and others. We sent 350 DVD’s to locations around the world; in the US, Canada, UK, Israel, South Africa, Australia and Uruguay.